Snail against gravity is a one-touch side-scrolling game about a freaked out cartoonish snail escaping the flood! A family of snails is on the side of a cliff when a heavy rain starts. The level of the river starts to rise and our snails escape the flood to reach the top of the cliff. Once at the top they realized with horror that one of them is missing! He was sleeping and did not realize that the river is almost reaching him. By luck, he wakes up, and now he needs to climb the cliff to get with the rest of the group. That will be a perilous adventure! Tap on the left or right side of the screen to make the snail climb on one side or jump on the other side! Avoid the mushrooms on the side of the cliff and be careful of the frogs that are jumping sideways. There are some drops on this dangerous path, collect them as you will be able to unlock stylish snail with better speed. Share your best score with your friends on whatever is your favorite social media. "I always had a particular interest and connection with snails and frogs... maybe because they are so tasty, I remember eating them with lots of garlic better back then in France when I was at visiting my Granny. As a French, I am obsessed with food. 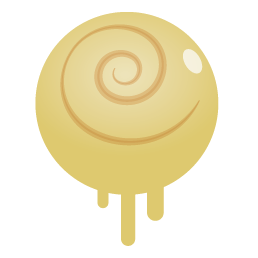 When I first decided to build a game with a snail, I wanted to understand them, to put myself in their shoes, to be snails, to feel snail and think like a snail. To do it, I tried to move like a snail on the floor of my bedroom. I put some lettuce next to my bed and tried to crawl under my desk to it. I was so slow... and that's when I realized, if I were to be a snail, I would be craving for high speed, of experiencing acceleration and racing... I would be dreaming about it. That when I decide it will be a game about speed and a snail going fast! "